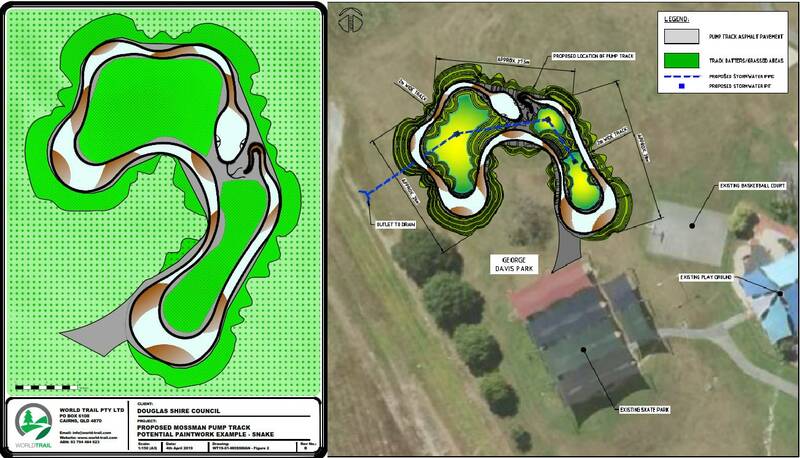 A PROPOSED pump track at the Mossman skate park looks to have a bit of bite. 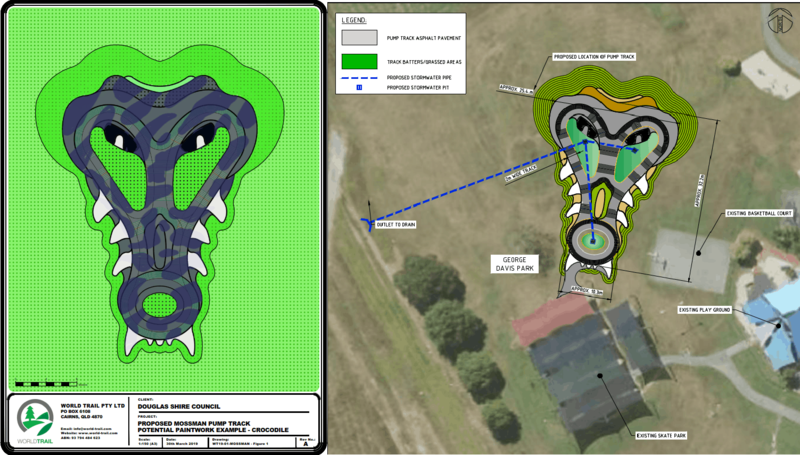 Douglas Shire Council will be putting two reptilian-themed designs in front of local school students and skate park users for feedback this week. High profile recreational trail designers, World Trail Pty Ltd, will visit George Davis Park this week to discuss the eye-catching snake and crocodile designs with users. They will also talk about the types of track proposed and other design features. Douglas Shire Mayor Julia Leu said the new track would cater for increased usage at the popular park. “I expect this project to really hit a mark with our youth,” she said. A pump track is a circuit that features humps and banked turns designed to be ridden completely by riders creating momentum by up and down body movements, rather than pedalling or pushing. They are popular among BMX riders, skate boarders and scooter riders. Council also built a $131,000 Pump track at the Port Douglas Sports Complex in 2017. The designers from World Trail will be on site at George Davis Park, by the skate park between 12 noon and 2pm, Wednesday April 10, 2019.